Authorities say three suspects are in custody following a shootout with police Wednesday night in Brooklyn. The NYPD says that three plain-clothed cops witnessed three males involved in a dispute just before 11 p.m. near Park Avenue and North Portland Avenue. Authorities say they turned their unmarked vehicle around to approach the men and were shot at by at least two of the suspects. Police say the car was struck, but none of the officers were hit. Police returned fire as the suspects fled on foot, the NYPD says. 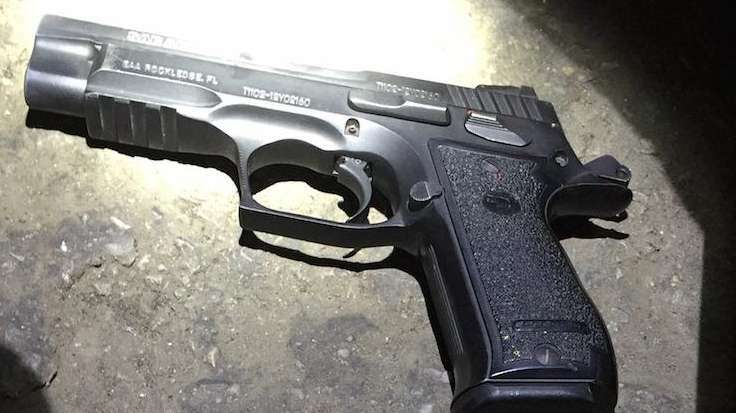 Cops found a .45 caliber gun under a nearby vehicle's tire. Police say one suspect, a 23-year-old man, was taken into custody after they found him at Beth Israel Hospital with a gunshot wound to the leg. Two other suspects, aged 21 and 24, were later apprehended, police say. Their names have not yet been released. The officers involved were treated for tinnitus.